Work and personal conflicts can often times intersect, and influence a person’s decisions and moods in all aspects of their lives. That’s certainly the case for the FBI agents in WGN America’s 12-episode limited series, ‘Gone.’ In honor of the cable network premiering the police procedural’s fourth episode, which is titled ‘Tiger,’ tomorrow, March 20 at 9/8c, ShockYa is debuting an exclusive clip from the show. The clip from ‘Tiger’ features actress Leven Rambin’s character, Kit “Kick” Lannigan, a former child abduction victim, who notices that there’s something bothering the man who rescued her, Chris Noth‘s FBI Agent, Frank Novak. The two now work together on a special task force that he created, which is dedicated to solving abductions and missing persons cases. Lannigan approaches Novak when she realizes that their current case is emotionally affecting him. In ‘Tiger,’ the team is assigned to work on a case involving a father who suddenly goes missing in Cincinnati. The agents quickly learn after taking on the case they have a much more complicated case on their hands. John Bishop (Danny Pino) begins to uncover the details of the disappearance, which leads the team to discover that the entire family is missing. Kick begins to notice the case is emotionally affecting Frank, but soon realizes the wound is much deeper than it initially appears. When two more people turn up missing, the team is in a race against time to piece together the clues of what appears to be a related kidnapping. The WGN America crime drama is produced by NBCUniversal International Studios. Matt Lopez (‘The Sorcerer’s Apprentice’) serves as creator, writer and executive producer of the show, alongside executive producers JoAnn Alfano (‘Resurrection,’ ’30 Rock’), NBCUniversal International Studios’ Executive Vice President of Scripted Programming, and Sara Colleton (‘Dexter’), Kim Moses (‘Reckless’) and Barry O’Brien (‘CSI: Miami’). The series is based on the novel, ‘One Kick,’ from best-selling author, Chelsea Cain. For more information on ‘Gone,’ visit the police procedural show’s Facebook, Twitter and Instagram pages. 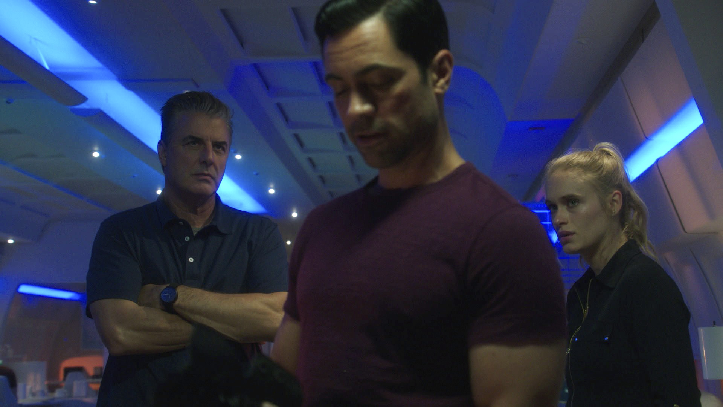 ShockYa is debuting an exclusive clip from 'Tiger,' the fourth episode of WGA America's 12-episode limited police procedural crime drama television series, 'Gone,' which features actor Chris Noth and actress Leven Rambin. Are remade movies always bad? We don’t think so!